The annual FIRST Robotics Kickoff is an event planned to gather FRC teams from around Ottawa to witness the release of the year’s challenge, pick up the Kit of Parts, share ideas with other teams, and learn from mentors and alumnus. 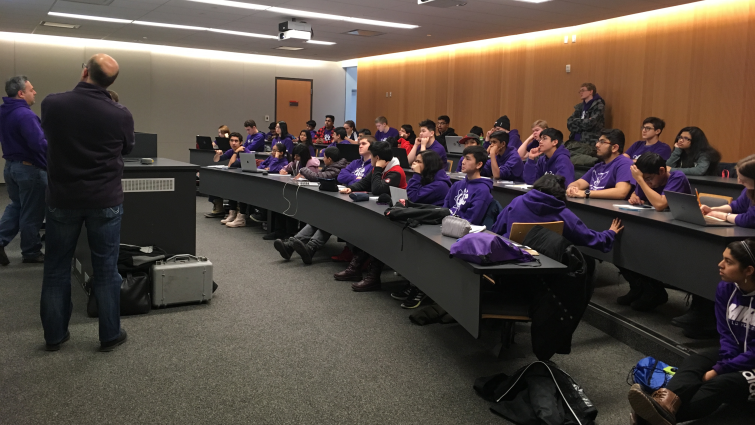 This year, the FRC Ottawa Kick-Off was hosted by CU FIRST at Carleton University on Saturday, January 6th, 2018. Throughout the day, a livestream from FIRST was shown to introduce this year’s competition and students participated in discussions with their own teams, as well as the other teams. 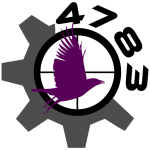 This year Ottawa has five FRC teams, and the RoboRavens is one of them. This number has increased by 1 from from last year, as the Lisgar Lords have joined the tightly knit Ottawa FRC community. In the morning, there was a short presentation by two ladies who are Carleton Engineering Alumni. They talked about the programs offered at Carleton University, along with the prerequisites required to enter those programs, and the scholarship opportunities available. Soon after came the moment that everyone was waiting for! The unveiling of the game, which happened at 10:30. The video was broadcast live and was the focal point of the day. The teams got a first glimpse of the challenge, an arcade themed playing field. [If you haven’t seen it yet, watch it at the bottom of this page] . From the Power Up Cubes, to the Switches and Scale, to the Vault, all the teams got to thinking on ways to conquer this year’s challenge. The game manual was then released to the public. Right after that, all the teams went back to their rooms and read the game manual thoroughly, discussed with each other and their mentors about different strategies, priorities, and mechanisms for their robots. After a quick lunch provided by Carleton University, there was another meeting in the auditorium, where all the teams met up again to discuss the game. Everyone asked whatever questions they had, and all of the other teams and mentors tried their best to answer all of the questions. There was a lot of free time dedicated to team brainstorming, which allowed for teams to start planning right after the kick-off livestream. It is always best to start thinking with a fresh mind, not one that has been bombarded with strategies, information, and mechanisms. All in all, the kickoff is a very important part of the robotics season. It helps the teams get ready to go as soon as they can. In a six week build period, you cannot afford to waste any time getting warmed up. We really enjoyed the event and would like to thank our Ottawa FIRST robotics family, as well as Carleton University and CU FIRST for having us! We’re very excited for this season, so stay tuned for more updates throughout the season!